Welcome to Year 2: Our teachers are supported by Mrs Parsons, Miss Drinkwater, Miss Hodkinson, Miss Raikes, Mrs Price and Mrs Amin. 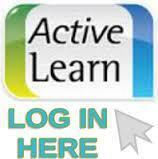 To find out about our learning this term please visit our Curriculum newsletters page. English glossary - includes all the technical grammatical terms used in the programmes of study for English, as well as others that might be useful. English Overview Year 2 - see the Year 2 overview for specific grammar terminology your child needs to know.